Presented by Mindy Segal, Cookie guru, Restaurateur, Author Join us as James Beard Award-winning pastry chef Mindy Segal discusses the evolution of the modern cookie. Mindy will take us from the invention of Toll House chocolate chip cookies in the 1930s, to the innovations happening currently in her kitchen at Hot Chocolate in Chicago’s West Town neighborhood. 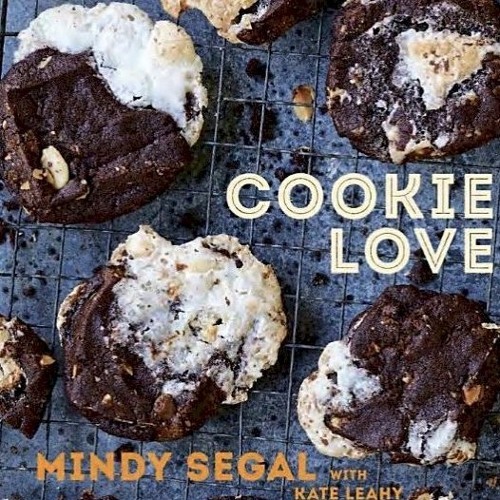 She will also discuss how her Jewish roots have influenced her baking, as evidenced by the chapter that’s devoted to rugelach and kolachkes in her just-published “Cookie Love!” Mindy will also talk about what inspired her to open Hot Chocolate, her popular eatery that encompasses a dessert bar and full restaurant. But wait, there’s more: Mindy will include a cookie-making demo to keep us all crisp with our baking skills. And of course, she will share samples. Biography: Pastry chef Mindy Segal specializes in American cuisine, where she adds a contemporary twist on classic desserts. She was awarded the James Beard Foundation award for Outstanding Pastry Chef in the Country in 2012 and was nominated for the category the previous five years in a row. She has been featured in The New York Times, GQ, The Wall Street Journal, Food & Wine, and O, The Oprah Magazine. Mindy has made television appearances on Today, The Martha Stewart Show and The Food Network. Recorded live at Kendall College on Saturday, July 18, 2015.